Selecting the right collar for your dog may be a very personal choice so I am happy to see you are doing some research on the topic. My two go to collar types are a well fit and safe harness or a martingale training collar. Both can be used to prevent pulling, give a smaller handler more control of a larger dog, have multiple uses plus since neither promise the magical fix pulling in a instant they don’t cost a arm and a leg. A martingale collar is sometimes referred to a limited slip collar. These typically retail between $8.00- 12.50 so they can be very cost effective. This is the type of collar I use for my personal dogs. What do I love about a martingale collar? *They can be easily converted into a no-pull harness for extra hard pullers that haven’t been successful with regular no-pull harnesses. *Your dog CANT slip out of it. If your dog is the type to pull backwards and slip his/her collar they can’t slip a correctly fit martingale. Why might I not choose a martingale collar? 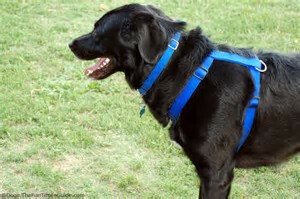 *I might opt for a well fit classic harness if my dog has kennel cough or pulls so hard that he is frequently coughing. *If you don’t feel comfortable having anything around your pet’s neck a harness maybe a better option. *If your dog bounces around the car opt for a harness I’ll explain why a little farther down. Harness come in all different shapes and all different types. 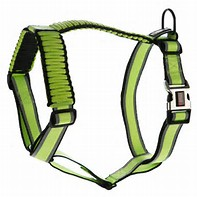 It is important to select a harness that is a safe fit for your dog as there are several types of harnesses made for trained dogs that untrained dogs that like to pullback may slip right out of. 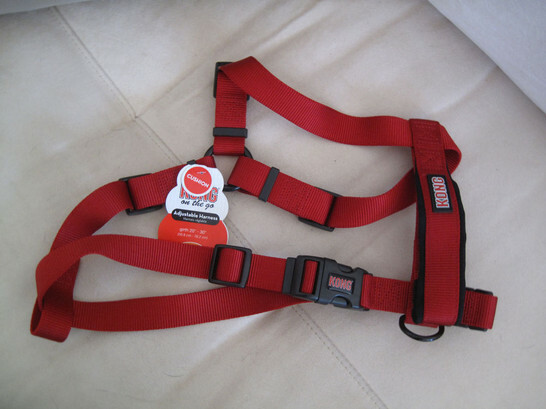 Most classic style harness retail between $11.00 and $22.00 depending on brand and style. What do I love about a classic harness? *It is probably one of the most versatile training tools on the market. * They are normally very, very adjustable which means that they can grow with your puppy for sometime and your can get the prefect fit. 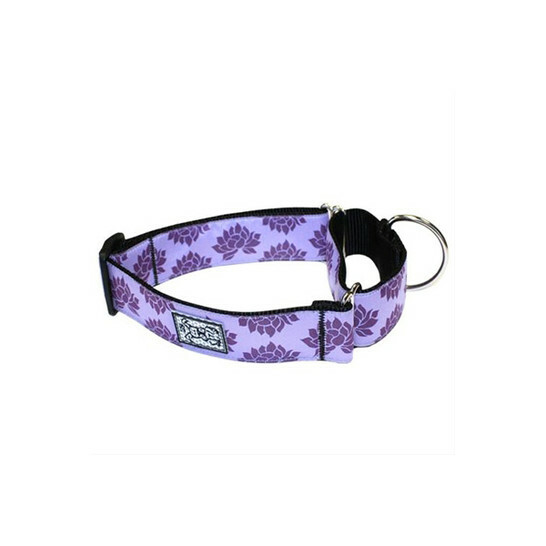 *Clip them to the back clip for when you are working on loose leash walking or training. Why I might not choose a harness? *Harnesses may cause your dog to chaff. Here are few examples of classic harnesses. Not all harness are created equal some harnesses are downright dangerous. Harnesses that clip and snap over the shoulders like the two in the following photos should only be used on well trained dogs that have good leash walking skills and a strong recall. They easily slip off over the head even when properly fit. 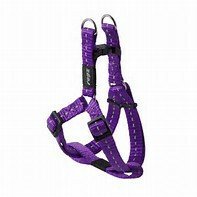 Here are some examples of harnesses that are clipped over the back so they could slip off easily. Other harnesses use the same concept of using the front o-ring, but are far less adjustable and much more difficult to get a correct sizing on. Additional note if you have tried one of these tools paired with DIY training and have not seen results so your now wondering about tools like gentle leaders, remote collars, choke chains or prong collars please contact a local professional trainer for specific recommendations for your pet. We do NOT recommend these tools without professional guidance. Check out our blog on the best tools for pulling! !